What happened: Clock struck midnight on the “You like that” redemption tour that had been gaining some serious steam. I LIKE Kirk Cousins, think he can be a Top-10 (ok, maybe 12)Quarterback, not even kidding. I hope that very little of this loss is put on him by the local media (even though it’s all owned by Snyder) and the fans. To say the Packers are BACK…I think is a stretch. They compiled 346 yards of offense and averaged 4.4 yards/play. A clear step in the right direction, but far from the juggernaut that we have come to expect from an Aaron Rodgers-led offense. It was encouraging though, to see both running backs thrive, despite uneven play from Rodgers. This game came down to the Packers being able to run with multiple guys out of multiple formations, and Kirk Cousins’ missed connections on 3rd down. 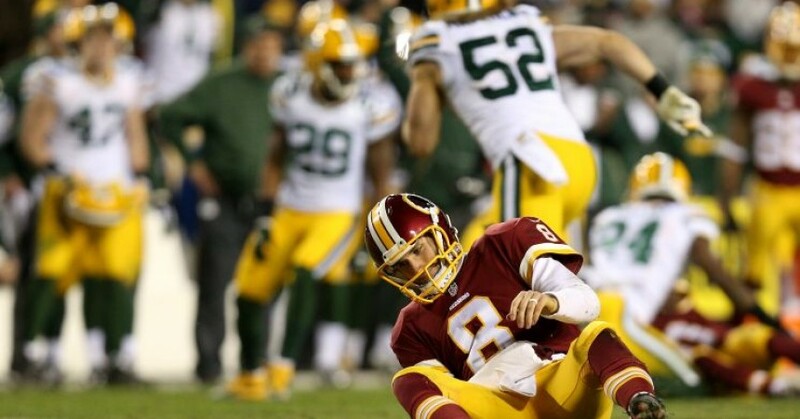 As predicted, Jordan Reed terrorized the Packers. Terrorized. They tried Hyde, Clinton-Dix, and even some rookie Damarious Randle. None of any consequence. He’s a real talent, and hopefully his fragile outer casing holds up enough where he’s the type of guy who plays 16 games more often than not. Knowing the Skins though, this won’t be the case. McCarthy was totally OK with taking some of the game off Rodgers’ shoulders, as he attempted 32 designed runs, 5 of which were handed off to Randall Cobb. ‘Discount DoubleCheck’ still dropped back 37 times, mind you, but was sacked only once (the safety), and generally had a comfortable day. I picked the Skins to win obviously, but at the very least I thought that Washington would be competitive in this game through the 2-minute warning. The Packers just bludgeoned them to death on the ground in the second half, and showed how scary they can be when they can do that. I’ve never been a “momentum” guy, but once the Skins didn’t convert the TD on the DeSean gaffe, everyone in that stadium knew their fate was sealed. I said in the preview article that Cousins could take deep shots to DeSean, taking advantage of single-high. This didn’t happen once. When you re-watch this game, you’ll see that the Packers played Cousins like they would play any Big-Armed (dare I say) Franchise Quarterback: lots of 2 man-under and deep quarters. The Reed TD was against the former brand of vanilla coverage, as Cousins found him where you always find big plays to the TE in Madden: deep seam. 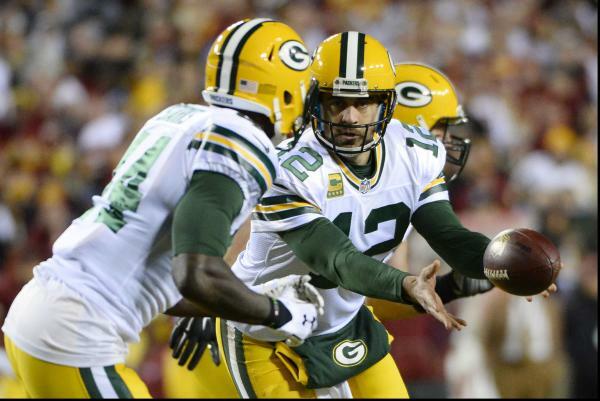 One more thing: Forget about next week, the Packers are cooked against the Cards in Arizona, but interesting season for them, isn’t it? I think Ted Thompson has positioned this team nicely going forward with great young defensive pieces, which should mitigate the eventual Rodgers decent. He will continue to be stellar for the next half-decade, but it’s not ridiculous to suggest that we could have seen that 2011 15-1 season as the peak of Aaron Rodgers at this point. This “downfall” isn’t coming anytime soon, but if I ever had confidence in an organization’s ability to stay lean, and amoebic, and potentially weather a quarterback’s slippage, it’s this one. Plus, Jordy Nelson should be back. Certainly can’t hurt.